American manufacturer General Motors has rolled out its 2015 model that looks a lot different from the Buick LaCrosse that made its debut in late 2004 as a 2005 model to replace the Century and Regal. The name of this car was inspired by a Buick concept car of the same name that was shown in 2000, but it is also a reference to the sport of lacrosse, which Buick believed to be a young, active sport. Now, in its second generation after the arrival of its 2010 model, the LaCrosse has moved from a mid-size car to a full size car and is seen as not only a premium sports sedan, but Buick's flagship Sedan. 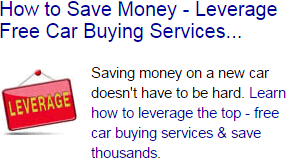 Here are the top 10 reasons to buy this car, as well as, the drawbacks to assure there will be no hidden surprises. The trims include: the Base LaCrosse, the Leather, the posh Premium I Group, and the top-shelf Premium II Group. The trim can affect the engine, horsepower, available colors, MPG, and price. The 2015 Buick Lacrosse offers options. They are delivered with standard front-wheel drive (FWD), but the Leather and Premium I Groups are capable of being equipped with all-wheel drivetrain (AWD) to allow more torque from the engine. Upscale meaning high quality, comfortable, and quiet. 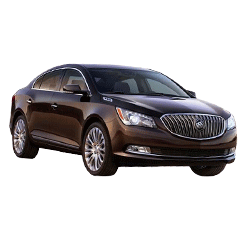 The 2015 Buick LaCrosse is well-equipped and refined making it a relaxing ride. Some will like the engine that is Gas/Electric I4 2.4L/145, a four-cylinder engine and an electric motor, while others will prefer the available V6 engine for its additional power. However, the Premium (I or II) and the Leather group are the trims that offer the V6 engine. Dual-zone automatic climate control, remote start, a rearview camera, OnStar with 4G LTE (subscription required after a three-month trial), Buick’s IntelliLink infotainment system with an 8-inch touch-screen display, satellite radio, Bluetooth, and a USB port are all standard technology included for the 2015 Buick LaCrosse. There are also multiple ways of controlling this technology; There are knobs, steering wheel buttons, and voice recognition. The display is easy to read and is being called one of the best on the market. The goal of the eAssist was to create a more fuel efficient system. General Motors engineers wanted the change to be undetectable so that people could enjoy better mileage without noticing that an electric motor takes over when the fuel flow is stopped. The eAssist has helped the 2015 Buick Lacrosse get better mileage per gallon. It gets an EPA-estimated 25/36 mpg city/highway, which is excellent for the class. Bettering the fuel economy is something that Buick has been working on for a long time, so this is an especially nice trait. To go with the upscale cabin, the actual interior of this 5-seater is well designed. Last year, the car received some much needed improvements to the appearance and function of the interior. There is now storage throughout the car and soft lighting to create a luxurious ambiance. This is convenient for those long trips, and there is also enough room to stretch. The 2015 Buick LaCrosse has undergone intense testing and according to the National Highway Traffic Safety Administration, it receives an overall 5 out of 5 stars in safety. This overall rating includes scores for frontal crash, side crash, and rollover. There are many air bags located throughout the car, as well as, traction control, child safety locks, brake assist, and electronic stability control. The 5 seats are premium materials of either cloth or leather. The driver's seat is eight-way power-adjustable, and the rear seats are ample and spacious. All of the seating is very supportive, and there are options for heated and ventilated front seats, a heated steering wheel, and a power rear shade. It has more of a compact sedan trunk. At 13.3 cubic feet of cargo space, it is undersized and restrictive for the class. Buick LaCrosse eAssist models have even less trunk room at 10.8 cubic feet. The split-folding rear seat is in all models, but some think that the eAssist model’s battery pack blocks access from the trunk to the cabin. The V6 and eAssist engines are paired with a six-speed automatic transmission. Many choose the V6 because the eAssist is not particularly smooth or quick to accelerate. Slightly below average for a V6-powered affordable large car, models equipped with the V6 engine earn 18/28 mpg city/highway. 3. The Steering is "Numb"
It is not a sports sedan and it is well controlled, but some test drivers have complained that the steering lacks feedback, and that the all-wheel drive models feel unwieldy. The transmission shifts smoothly, but downshifts occasionally suffer from a noticeable delay. Suspension revisions in the past have made the car feel more agile compared to other models, but there is still room for improvement because some drivers found the AWD model to feel heavy. Overall, it does well against a lot of its competition, placing the 2015 Buick Lacrosse in the Top 5 U.S. News Auto Ranking for Affordable Large Cars (The MSRP is $33,635-$40,500 and the average paid is $34,396-$40,992). It also has several available features to consider adding which include: an 11-speaker Bose surround sound audio system, navigation, forward collision alert, lane change alert, adaptive cruise control, blind spot monitoring, a head-up display, a sunroof, push-button start, and rear parking sensors. All of these make the 2015 Buick Lacrosse a high-quality car that can be customized to fit customers' needs.